Explore music, vintage art, trip destinations, cuisine, ecology, and history on Cuba Travel. Written by Sophia Bass, translated below by Izzy Valdés. 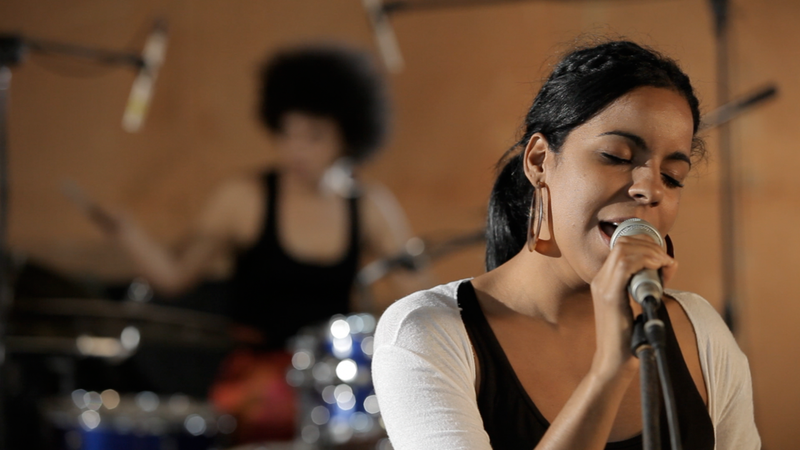 Cuba is known for its diverse music scene that combines European, African, and Caribbean sounds. While you may be familiar with Cuban band, Buena Vista Social Club, the majority of the international world has not been exposed to Cuba's wide array of musicians and artists that play regularly on the streets of Old Havana. 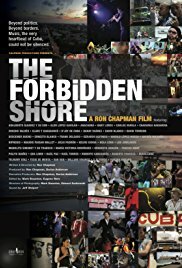 The documentary, The Forbidden Shore, showcases over 40 performances and interviews by Cuba's top artists. This film highlights how little the global world knows about Cuba and Latin America. Director Ron Chapman wanted the international community to know about the diversity of Cuban music. Chapman explains that he was in awe when he traveled to Cuba for the first time because he was unaware of the musical diversity on the Caribbean island. Artistic Director, Diana Vargas states, "We wanted to show a snapshot of the work that is being produced in Cuba today." As many people wanted to learn why Chapman wanted to make the film, he explains that his Canadian heritage inspired his interest in Cuba as Canada has had an open relationship with Cuba that continued through and after the revolution in 1959. Cuba has more Canadian travelers visit than from any other country in the world. The main purpose of the film is to expose the international community to Cuban music, culture, and politics. For decades, the media has instilled myths about the Cuban people. Chapman emphasizes that a lot of what the public hears about Cuba is false and that the society is comprised of creative, intelligent, and collaborative musicians and artists. As someone who has also traveled to Cuba, I have to agree with Chapman. I have never traveled to a nation where the society has such an unusual passion for the arts. As a result of Cuba's isolation after the revolution, the Caribbean island developed a unique identity based off of its musical community. It is one of the only nations on earth where the music was solely created for its population, culture, and political life. The film features artists including X Alfonso, Haydee Milanes, Kelvis Ochoa, Roberto Fonseca, Aldo Lopez and Polio Ibanez. 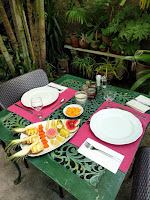 For more information on Cuba travel, go to our website www.solturatravel.com. La orilla prohibida: Un documental sobre Música Cubana. 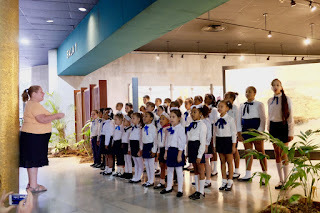 Cuba es conocida por su diverso escenario musical que combina sonidos europeos, africanos y caribeños. Quizás usted pueda estar familiarizado con la Banda cubana Buena Vista Social Club, pero la amplia gama de músicos y artistas que interpretan su música regularmente en las calles de la Habana Vieja no han sido aún expuestos a la mayor parte del mundo. El Documental La Orilla Prohibida, muestra alrededor de 40 interpretaciones y entrevistas a los artistas más importantes de Cuba. Este filme hace ver lo poco que conoce el mundo acerca de Cuba y Latinoamérica. El director Ron Chapman quería que la comunidad internacional conociera la diversidad de la música cubana. Chapman explica cuán sobrecogido se sintió cuando viajo a Cuba por primera vez, pues él no estaba al tanto de la diversidad existente en esta isla del Caribe. La directora artística, Diana Vargas, asevera: “Queríamos mostrar un resumen del trabajo que se está realizando en Cuba actualmente”. Dado que muchas personas querían saber por qué Chapman quería hacer el filme, el director explica que su herencia canadiense inspiró su interés en Cuba, puesto que Canadá ha tenido una relación abierta con Cuba luego y durante el triunfo revolucionario en 1959. Cuba recibe más visitantes de Canadá que de cualquier otro país en el mundo. El propósito principal del filme es exponer la comunidad internacional a la música cubana, la cultura y la política del país. Por décadas los medios han difundido mitos sobre el pueblo cubano. Chapman por su parte, enfatiza que una gran parte de lo que el público escucha sobre Cuba es falso y que la sociedad está comprendida por músicos y artistas creativos, inteligentes y colaborativos. Nunca he viajado a ningún otro país donde la sociedad tenga una pasión tan grande e inusual por las artes. Como resultado del aislamiento de Cuba luego de la Revolución, la Isla caribeña desarrolló una identidad única basada en su comunidad musical. Es una de las pocas naciones en el mundo, donde la música fue exclusivamente creada para su pueblo, cultura y vida política. El filme presenta a artistas incluyendo X Alfonso, Haydee Milanés, Kelvis Ochoa, Roberto Fonseca, Aldo López y Polito Ibañez. Thanks for taking the time to write a comment! You can also share our blog on Facebook or any other social media that you use. Spread the joy! Top 10 reasons to visit Cuba in July. When I first arrived in Cuba I was intrigued when I learned that public education is one of Cuba's top priorities. Ever since 1959 when President Batista was in political power, he was determined to eliminate illiteracy throughout Cuba. According to the World Bank, Cuba reported 12.84% of GDP in 2010 for public spending on education. Today, Cuba has one of the highest literacy rates in the world. As I was perusing the streets of Old Havana, I met young men and women between the ages of twenty-five and thirty waiting tables or playing music on street corners. One man named José who served me coffee said, "Would you believe me if I told you I was a dentist?" I replied, "Yes, but why are you serving me coffee then?" José stated, "I make more money waiting tables than I do working as a dentist in Cuba." I've always wanted to trace the origins of Salsa music. When I was traveling through Havana in 2017, I learned that Salsa is one of the most dynamic and important musical phenomena of the 1900's. 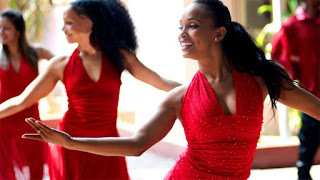 Salsa combines Afro-Cuban dance, Spanish guitar, and complex rhythms that have become internationally acclaimed in cities such as New York City to Barcelona, Spain. While New York actually created the term "Salsa," the United States did not create the dance. Historically, Cubans gave birth to the origins of what is referred to as Salsa. The term became popular to refer to the variety of music from Latin American countries including Mambo, Rhumba, Bomba, Cumbia, Charanga, and many other forms of dance. The most famous musicians of the 1950's were Tito Puente, called the King of Mambo, and Celia Cruz, known as the Queen of Salsa.